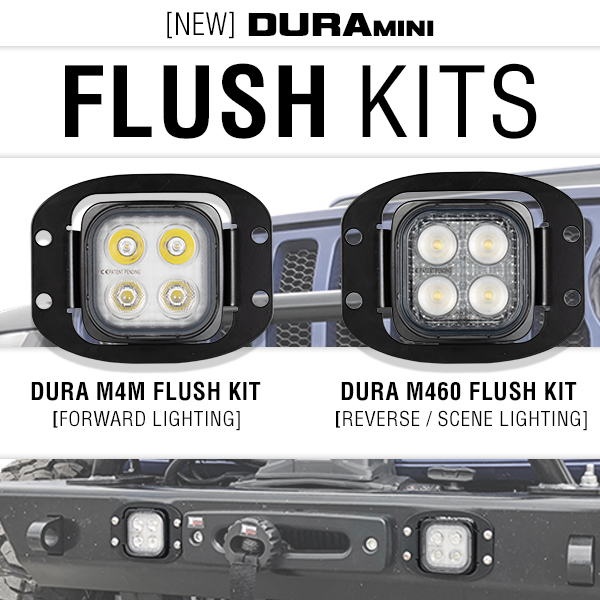 The Duralux Mini Flush Kit is our powerful answer to a small fog/reverse light. 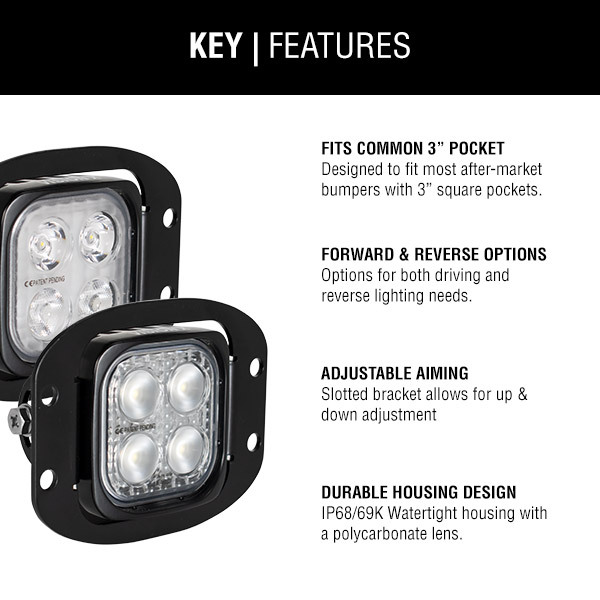 The sleek and compact 2.75” housing coupled with 8 CREE LEDs pushes 4,200 lumens per kit, making it one of the brightest lights in its class. Our newly designed flush mounting brackets fit perfectly into any aftermarket bumper that is fitted with 3” Square light pocket. Don’t have pre-cut pockets? No problem, we provide a template for easy cutting and installation. Choose between the Dura M4M which uses mixed optics to produce a forward facing driving beam or the Dura M460 that produces a flood beam that is ideal for reverse/scene lighting.